For many, Corned Beef is nostalgic. It's an old tradition with evidence supporting that it made its way to the United States from Ireland. Some historians think that it was a spring dish because it often was cured over the winter and eaten in spring once it was ready. Today, corned beef has become a staple dish in many homes and restaurants. 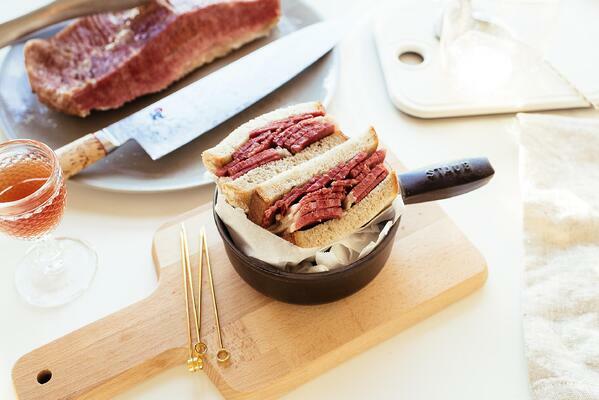 It's made into a variety of dishes such as corned beef hash, corned beef and cabbage, and the famed Reuben Sandwich. 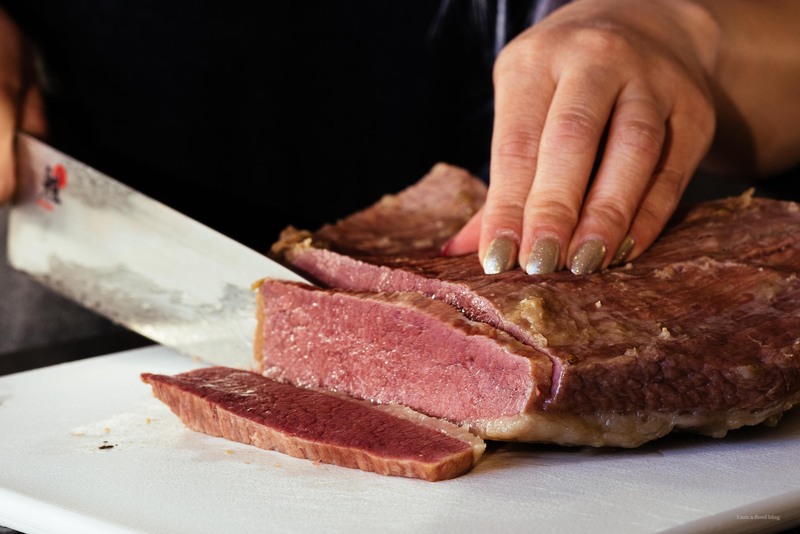 Follow this easy recipe for making corned beef at home. In a container large enough to contain the brisket plus water, combine all of the water, salt, sugar, and pink salt. Stir until mixed, then add 2 tablespoons pickling spice. Stir briefly until mixed again, then add the brisket. Weigh the brisket down with a plate. Seal and store in the fridge for 6 days total. After 3 days, give the brisket a flip and weigh down again with the plate. After 6 days, preheat your oven to 200ºF. Find an oven-proof pot (such as a dutch oven) large enough to hold your brisket and fill it halfway with water. Set it over high heat. Carefully remove the brisket from its container and give it a brief rinse. Add brisket and the remaining 2 tablespoons of pickling spice and wait until the pot comes to a boil, then transfer to oven and braise for 4 hours.